WINNIPEG, MB–(Marketwired – March 02, 2017) – Librestream, the leader in virtual presence systems for enterprise, today announced the expansion of its Onsight 400R Collaboration Hub. This Internet of Things (IoT) device connects specialized test instruments for remote inspections. With this latest release, teams can now use the Onsight Collaboration Hub with Android smartphones and tablets in addition to iOS devices. “Field service teams in industries like aerospace and energy are now carrying the Onsight Hub as part of their kit to enable live remote inspections in the field. Customers tell us that this new capability is taking days out of service response time. That kind of business outcome is driving attention and motivates us to continue investing in this component of our platform” said Kerry Thacher, President & CEO of Librestream. 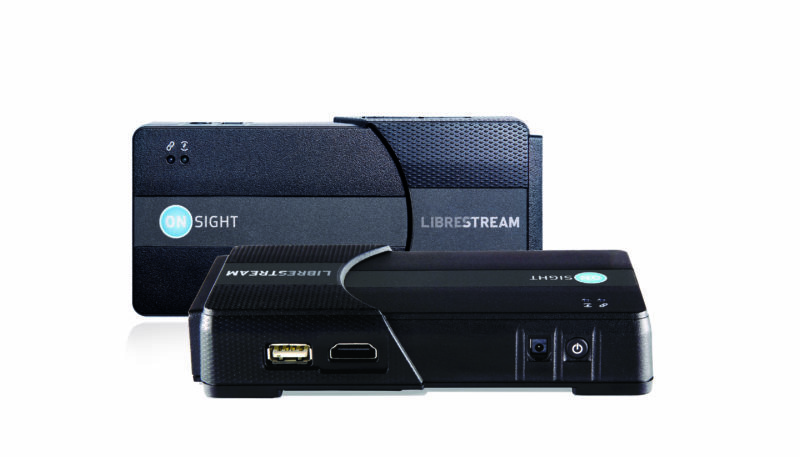 In addition to the expanded Onsight Collaboration Hub IoT solution, Librestream added new features to the Onsight Connect for Android collaboration software. This newest release includes a streamlined user interface and knowledge base access. Librestream Technologies Inc. is the leader in developing innovative mobile video collaboration solutions for field service, manufacturing, energy and public sector industries. Deployed globally, the Onsight video collaboration platform brings the eyes and ears of experts into the field virtually to immediately resolve issues and assess environments. Visit Librestream at www.librestream.com and connect with us on LinkedIn, Facebook & Twitter.